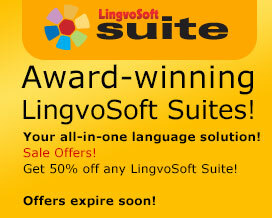 THE NUMBER ONE MULTILINGUAL TALKING PHRASEBOOK FOR ANDROID DEVICES! NO NEED FOR AN INTERNET CONNECTION OR 3G – the entire app comes pre-loaded with everything you need on the go. 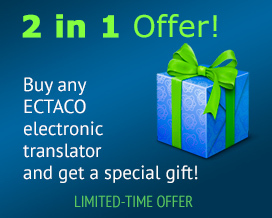 Ectaco Multilingual Phrasebook features more than 14,000 phrases for all common situations in 41 languages: Albanian, Arabic, Armenian, Bengali, Bosnian, Bulgarian, Chinese, Croatian, Czech, Danish, Dutch, English, Estonian, Farsi, Filipino, Finnish, French, German, Greek, Hebrew, Hindi, Hungarian, Indonesian, Italian, Japanese, Korean, Latvian, Lithuanian, Norwegian, Polish, Portuguese, Romanian, Russian, Serbian, Slovak, Spanish, Swedish, Thai, Turkish, Ukrainian, and Vietnamese. 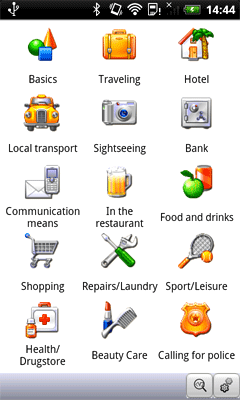 Topic areas: Basics, Traveling, Hotel, Local transport, Sightseeing, Bank, Communication means, In the restaurant, Food/Drinks, Shopping, Repairs/Laundry, Sport/Leisure, Health/Drugstore, Beauty care, Calling for police. All topics contain a number of subtopics. You will be understood even if you can't speak a word of another language.